Enjoy the best natural breeze on the island in Casa Brisa. Relax your mind and your body in your private plunge pool positioned on your private verandah, for beautiful views of our turquoise lagoon. Spend your days soaking up the spectacular Caribbean vista from your own private dock. 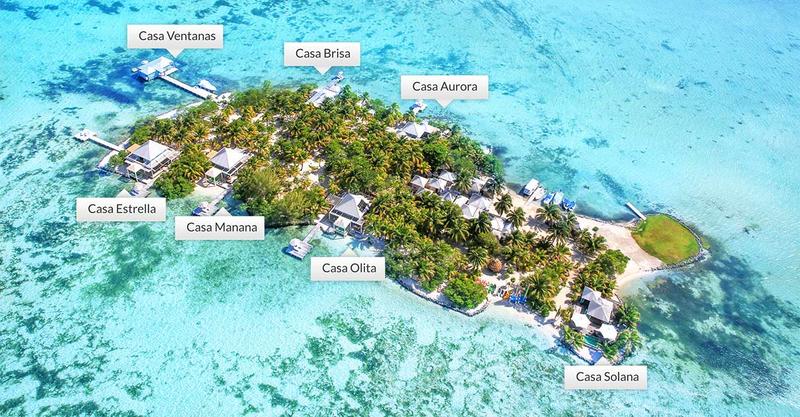 Choose between a pair of twin beds or one king bed in your secluded hideaway, which also features exquisite Yves De Lormes sheets, cabbage bark ceilings, mosquito netting, large Santa Rosa verandahs and private dock. One bedroom (1,200 square feet).